Our circular tilt top dining table has been designed to use within primary and secondary school dining halls. Ideal for school halls which have limited space or are multi-use areas as these tables can easily be folded down, wheeled away and stored next to each other. Supplied with a steel 38mm square tube frame in speckled light grey finish, a hard wearing MDF table top with a tough, textured PU spray edge - available in 3 colours. Complete with 4 easy glide locking castor wheels which makes mobility easy and hassle free. 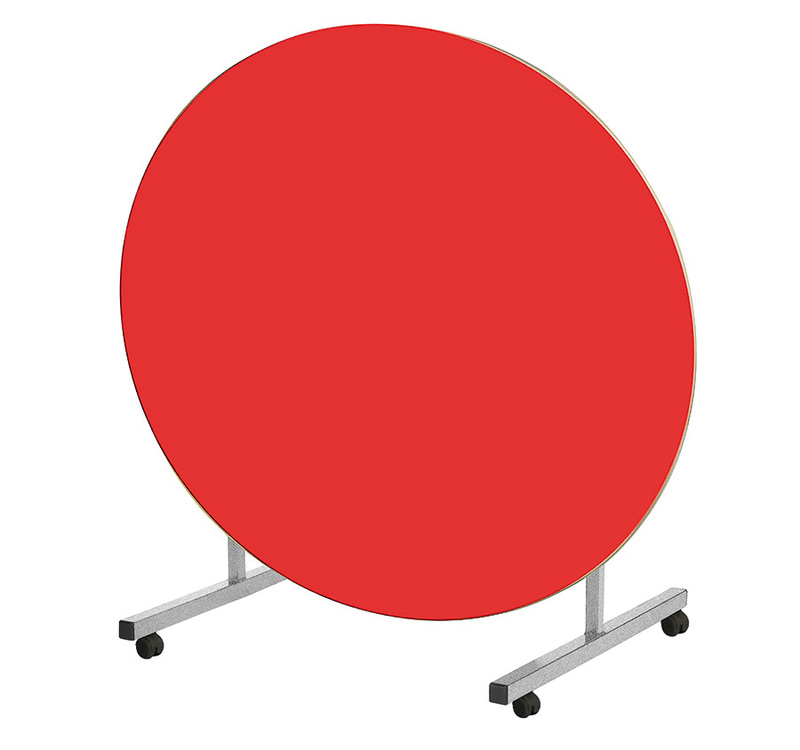 Table top size is 1200mm diameter and you can choose from 10 laminate colours. This school dining table comes in 3 heights - suitable for children aged between 8-14+ years old. Designed and manufactured in the UK and comes with a 5 year warranty. Tilt top dining tables are also available in Oval, Octagonal and Rectangular.